Peanut allergy is one of the most common food allergies. 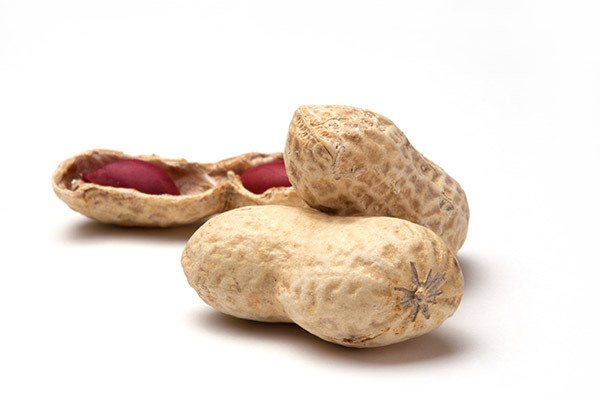 Peanuts can cause a severe, potentially fatal, allergic reaction (anaphylaxis). Therefore it is advised that people with peanut allergy have quick access to an epinephrine auto-injector (such as an EpiPen®, Auvi-Q® or Twinject®) at all times. To prevent a reaction, strict avoidance of peanut and peanut products is essential. Always read ingredient labels to identify peanut ingredients. Allergy to peanuts appears to be on the rise in children. According to a FARE-funded study, the number of children in the U.S. with peanut allergy more than tripled between 1997 and 2008.1 Studies in the United Kingdom and Canada also showed a high prevalence of peanut allergy in schoolchildren. Peanut allergies tend to be lifelong, although studies indicate that approximately 20 percent of children with peanut allergy do eventually outgrow their allergy. Younger siblings of children allergic to peanuts may be at increased risk for allergy to peanuts. Your doctor can provide guidance about testing for siblings. Peanuts are not the same as tree nuts (almonds, cashews, walnuts, etc. ), which grow on trees. Peanuts grow underground and are part of a different plant family, the legumes. Other examples of legumes include beans, peas, lentils and soybeans. If you are allergic to peanuts, you do not have a greater chance of being allergic to another legume (including soy) than you would to any other food. Trace amounts of peanut can cause an allergic reaction. Casual contact with peanuts, such as touching peanuts or peanut butter residue, is less likely to trigger a severe reaction. Casual contact becomes a concern if the area that comes into contact with peanuts then comes into contact with the eyes, nose or mouth (for example, a child with peanut allergy gets peanut butter on her fingers, and then rubs her eyes). Based on recent studies, an estimated 25-40 percent of people who have peanut allergy also are allergic to tree nuts.2 In addition, peanuts and tree nuts often come into contact with one another during manufacturing and serving processes. For these reasons, allergists usually tell their patients with peanut allergy to avoid tree nuts as well. The federal Food Allergen Labeling and Consumer Protection Act (FALCPA) requires that all packaged food products sold in the U.S. that contain peanuts as an ingredient must list the word “Peanut” on the label. As of this time, the use of advisory labels (such as “May Contain”) on packaged foods is voluntary, and there are no guidelines for their use. However, the FDA has begun to develop a long-term strategy to help manufacturers use these statements in a clear and consistent manner, so that consumers with food allergies and their caregivers can be informed as to the potential presence of the eight major allergens. *Note: This list highlights examples of where peanuts have been unexpectedly found (e.g., on a food label for a specific product, in a restaurant meal, in creative cookery). This list does not imply that peanuts are always present in these foods; it is intended to serve as a reminder to always read the label and ask questions about ingredients before eating a food that you have not prepared yourself. Keep the following in mind: • Certain food service establishments are considered high-risk for individuals with peanut allergy due to the common use of peanut and the risk of cross-contact – even if you order a peanut-free item. These include African, Asian (especially Chinese, Indian, Indonesian, Thai and Vietnamese) and Mexican restaurants; bakeries; and ice cream shops. • The FDA exempts highly refined peanut oil from being labeled as an allergen. Studies show that most individuals with peanut allergy can safely eat peanut oil (but not cold-pressed, expelled or extruded peanut oil – sometimes represented as gourmet oils). If you are allergic to peanuts, ask your doctor whether or not you should avoid peanut oil. • A study showed that unlike other legumes, there is a strong possibility of cross-reaction between peanuts and lupine. • Arachis oil is peanut oil. • Sunflower seeds are often produced on equipment shared with peanuts. • Some alternative nut butters, such as soy nut butter or sunflower seed butter, are produced on equipment shared with other tree nuts and, in some cases, peanuts. Contact the manufacturer before eating these products. • Peanut hulls can sometimes be found in compost, which can be added as top-dressing on lawns. Before you hire a contractor, inquire about the use of peanut hulls in compost so that you can make an informed decision.